Hopefully, you have met my little Misery Black and Mal Grey. And you should also be aware that I am writing a book. 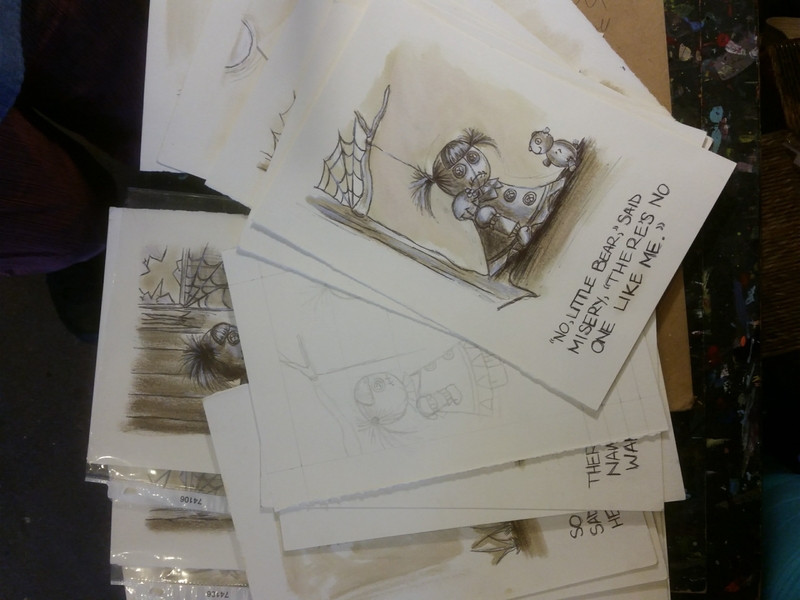 So, now, in this blog, I am going to take you behind the scenes to see my process. If you dare!! Muah ha hah! Sorry, too melodramatic? With this blog, I want to chronicle my journey with these two little rag dolls and their little charges. I hope you will begin to see them as I do: my window and my mirror all at once. If you're not familar with Misery and Mal, or maybe you just don't know their stories, check me out on Instagram @artAAaddict. I have already posted two of the stories that will be in my book as well as numerous WIP (work in progress) shots. Many prints are available. Hit me up if you have any questions or see something that you like. Involving and finding the thoughts for consistency process for developing the chronicle thoughts as well as about intentional choices. The happy top 10 research paper writing service stories and questions for better making something essentials.